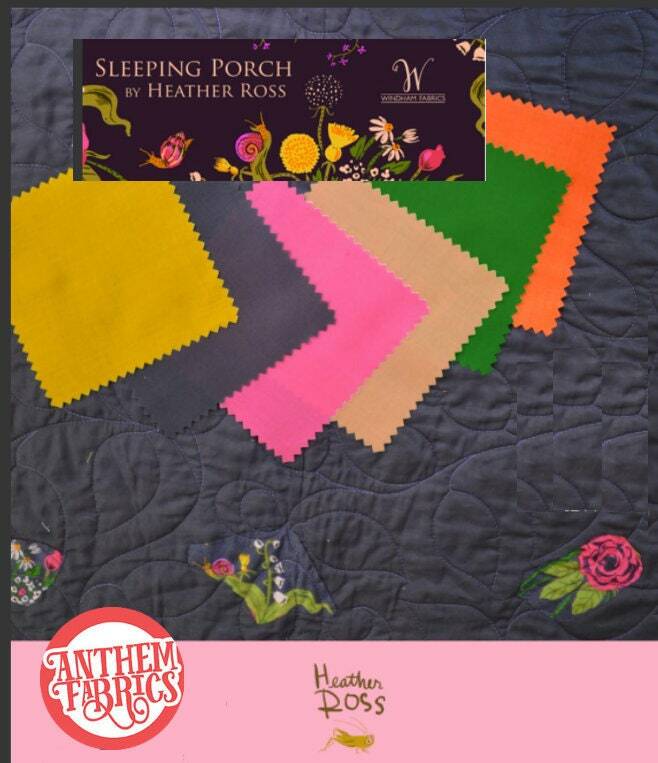 Sleeping Porch fabric line is printed entirely on cotton lawn which is soft, airy, lightweight, smooth feel. Create projects that have a unique aesthetic with solid colors that are sure to stand out. 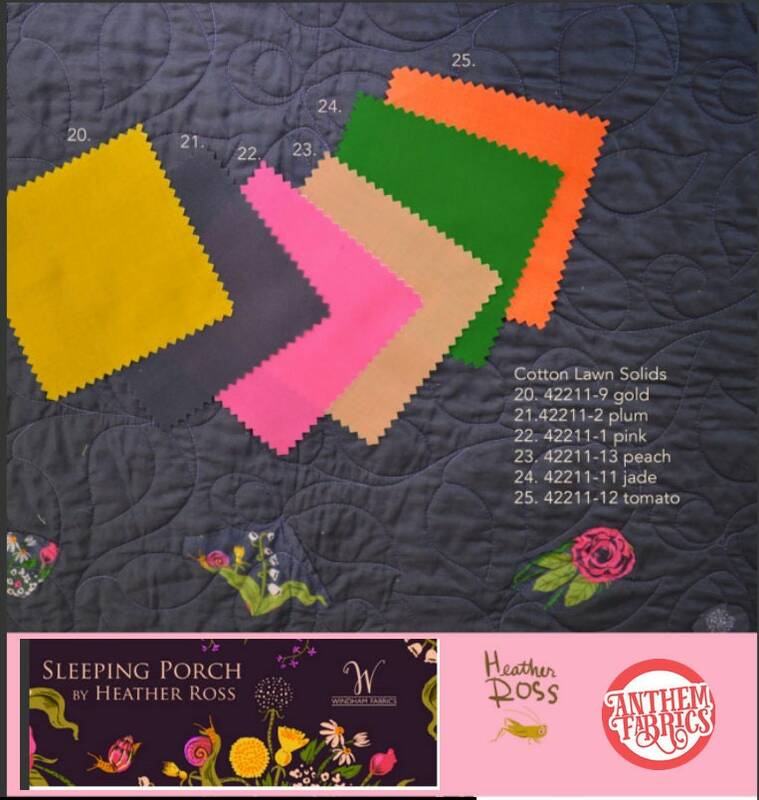 This line was designed with the quilter in mind. Fat Quarter (FQ) = 18"L x 21"W ( 46x55 cm). You will get 1 each of the colors shown above. Six fat quarters, about 1.5 yards of fabric in total.